Ten years ago, as the world’s economy was falling off a cliff, buyers with cash, who could qualify for loans, had their pick of properties. Millions of homeowners went into foreclosure, and savvy investors began swooping up homes by the thousands. It took a while for the rubble of the Great Recession to get cleaned up. And then, finally, in 2014 and 2015 (depending on where you lived), what was perhaps the greatest buyers’ market in history (or at least since World War II), turned into a sellers’ market. Suddenly, we went from having way too many homes for sale without enough qualified buyers to too many buyers competing for relatively small amounts of inventory. Over the past few years, home buyers have had a rough time competing against savvy and well-funded investors, sellers who are deciding not to move (for a variety of reasons) and not putting their homes on the market, and rising interest rates. Since 2015, we’ve predicted fewer homes than usual on the market and that home prices would continue to rise. And, that’s what happened right up until today: The number of existing homes for sale has remained low, as prices have been rising; even in the face of higher interest rates, which normally tempers demand. Perhaps Mary Poppins returning to the big screen this holiday season heralds the winds of change for the real estate market as well. While many expected the big economic story of 2018 to be the Tax Cuts and Jobs Act, which went into effect last Jan. 1, or perhaps that unemployment is at near-historic low levels, the focus for most of the year has been on tariffs, rising interest rates and inflation. And, as we celebrate nearly the longest expansion in history, layoff notices and predictions of a coming recession are beginning to dominate the media. The truth is, there’s only so much millennials can do to save the economy. Developers are building less than 60 percent of the new homes we need and what new construction is happening is focused on higher end custom homes or high-rise rentals. Affordability is down, and rising interest rates mean homes are even more expensive. Limited inventory means home buyers are chasing fewer homes. While the Department of Housing and Urban Development (HUD) insists the number of homeless people has remained the same, housing experts dispute that. What is clear is housing patterns may be shifting permanently. And what that means long-term is anyone’s guess. Understand how much you can spend. When interest rates rise, it means you’ll qualify for less money. Get preapproved for your mortgage so you can move fast when you find the right house. 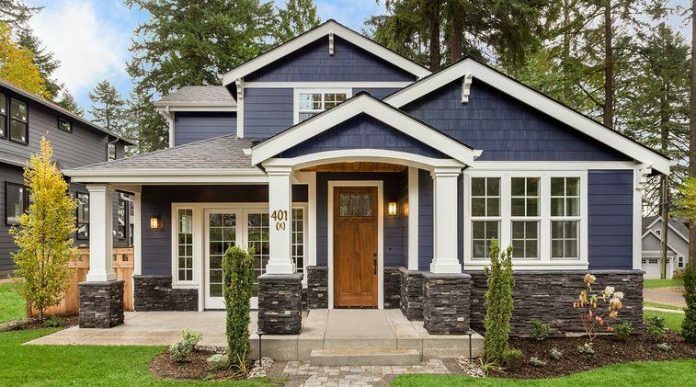 Learn how much your home will cost. Yes, there are the costs of the mortgage, real estate property taxes, and insurance. And then there’s the cost of heating and cooling your future home. Maintenance can be expensive and ongoing, so be sure to set aside enough in your budget for small things (like blacktopping your driveway every year or two) and big ones (like re-roofing or tuck-pointing). Think about how easy (or hard) it will be to sell before you buy. Whatever attracts you to a home will be the thing you lean on when it comes time to sell. But just because you can overlook a major flaw (a highway in your front or back yard, or a municipal waste facility across the street, or some other reason the location is undesirable) doesn’t mean future buyers will — unless the price reflects that. Developing a keen eye toward what other buyers might want or not like in a home is vital. Don’t stretch to buy your next home. If we’re going into a recession (whether it’s 2019 or 2020), you’ll want to know that you can afford your mortgage in case you or your partner lose your job or make less money. Some FHA loans will allow you to spend up to 43 percent of your gross monthly income on your mortgage, taxes and insurance. That may not be affordable, depending on your lifestyle. So take a long, hard look at where your money goes each month and decide how much you feel comfortable spending. The best real estate deals allow everyone to shake hands and walk away from the table feeling like a winner. And in what looks to be another year of uncertainty, disappointment and just plain incivility, spreading a little extra goodwill during the negotiations and at the closing table seems like a very good idea indeed. Happy home buying and home selling.